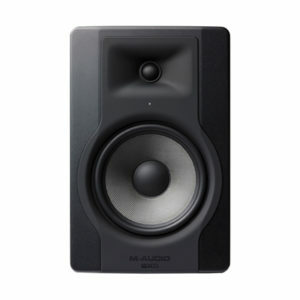 The BX5 D3 from M-Audio is a 2-way, 100W powered studio monitor designed to offer a wide frequency response and easy configuration for mixers, DJs, producers, and recordists in small control rooms, personal studios, and mobile rigs. 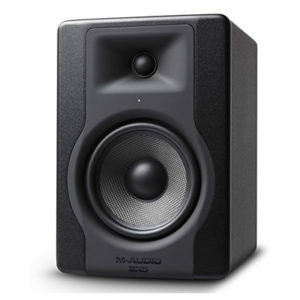 The monitor produces a frequency response of 52 Hz to 35 kHz, thanks to two Class A/B amplifiers feeding a 5″ Kevlar woofer and 1″ silk dome tweeter. 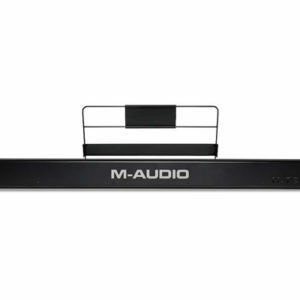 A rear-mounted bass port delivers extended bass response, while the tweeter’s custom waveguide yields a wide sweet spot and minimized high-frequency scatter. 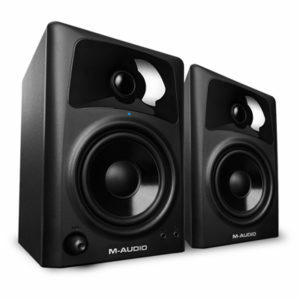 Volume and low-frequency controls are provided so you can tune the monitor to cooperate with the sound of the room. 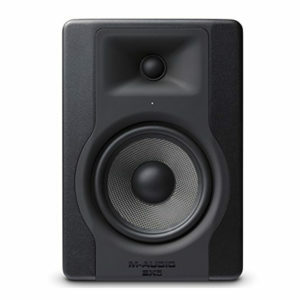 Place the monitor on the supplied acoustic foam pad to decouple it from your table or stands, which aids in reducing unwanted bass vibrations. 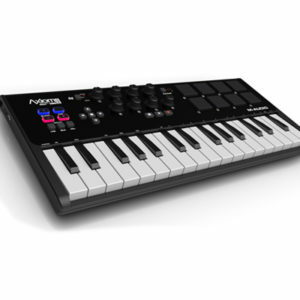 The BX5 D3 can interface with a variety of equipment, via balanced XLR and balanced/unbalanced 1/4″ TRS input jacks. Setup is simple, due to the front-mounted LED, which appears brighter when you are at the ideal angle. 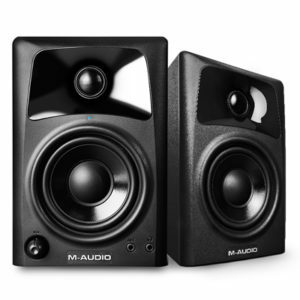 The BX8 D3 from M-Audio is a 2-way, 150W powered studio monitor designed to offer a wide frequency response and easy configuration for mixers, DJs, producers, and recordists in small to medium control rooms, personal studios, and mobile rigs. 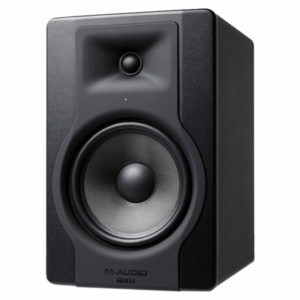 The monitor produces a frequency response of 37 Hz to 22 kHz, thanks to two Class A/B amplifiers feeding an 8″ Kevlar woofer and a 1.25″ silk dome tweeter. 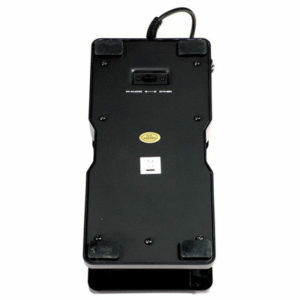 The BX8 D3 can interface with a variety of equipment, via balanced XLR and balanced/unbalanced 1/4″ TRS input jacks. Setup is simple, due to the front-mounted LED, which appears brighter when you are at the ideal angle. A magnetically shielded 8″ military-grade Kevlar woofer provides durability and detailed transient response whilst negating unwanted “cone breakup.” It has a high-temperature voice coil and damped rubber surround. 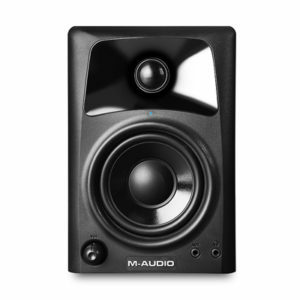 The magnetically shielded 1.25″ silk dome tweeter delivers high frequencies up to 22 kHz with minimal resonance. The rear-mounted bass port yields extended bass response while reducing audible air turbulence that can occur at high sound pressure levels. The tweeter sits in a custom waveguide designed to lessen scatter and yield a wide sweet spot. The process of aligning the monitor’s position is simplified, due to the front-mounted LED, which shines brightly when you’re located at the ideal angle. The BX8 D3 has two Class A/B amplifiers, an 80W low-frequency amp and a 70W high-frequency amp. A crossover at 2 kHz ensures that the correct frequencies are fed to each driver. In addition to adjustable volume, there is a low-frequency “Acoustic Space” control. Based upon the sound of your room, you may wish to tweak the bass response to achieve a certain frequency balance. 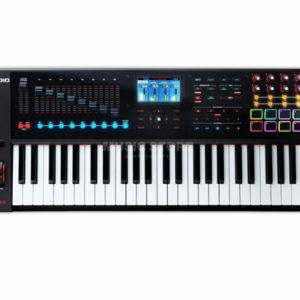 The BX8 D3 can accept a balanced line-level input at its XLR 3-pin connector. Route balanced or unbalanced signals into the monitor via the 1/4″ TRS jack. 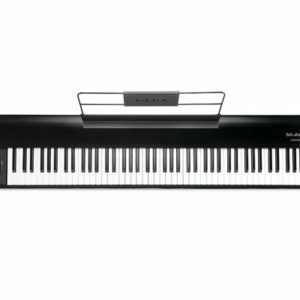 88 velocity-sensitive, fully weighted, hammer-action keys can faithfully capture your performance subtleties, while providing the response of a traditional grand piano. 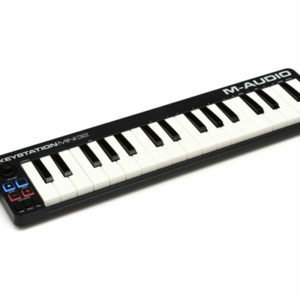 Combine the classic feel of a piano with the sonic power of your favorite virtual instruments. With a unity-locking pitch wheel and a separate modulation wheel, add portamento and glissando effects, or map the Mod wheel to any assignable parameter in your virtual instrument. With the dedicated Master Volume Fader, you can instantly control the intensity of your performance or MIDI map this to any compatible parameter in your DAW or virtual instrument collection for expanded, hands-on control. 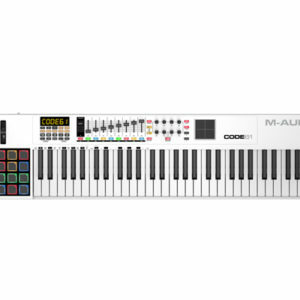 Use the assignable Up and Down buttons to select different programs, effects, MMC messages, jump between octaves and more. 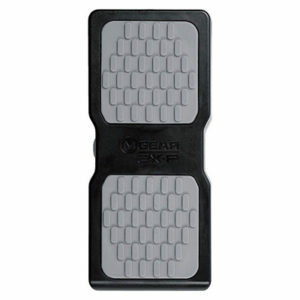 Three 1/4″ inputs are provided for sustain, soft, and expression pedals. Connect your preferred pedals, then enjoy pedal-based performance articulation. 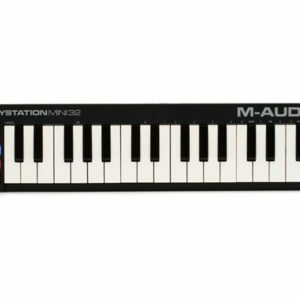 Control virtual instruments in your favorite DAW via USB. 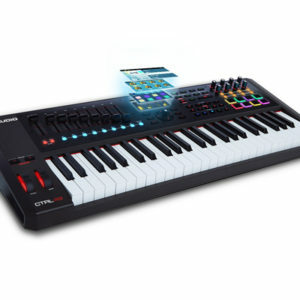 Utilize the 5-pin MIDI output to send all MIDI information to any compatible peripheral device, including hardware synthesizers, sound modules, and drum machines. 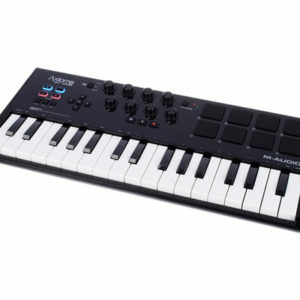 The Hammer 88 is USB-powered, class-compliant, and supports USB-MIDI connectivity for hassle-free setup that lets you focus on your creativity. 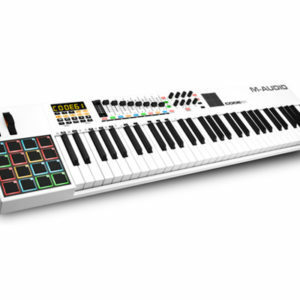 No drivers are required; plug-and-play connectivity is supported on Mac OS X and Windows. For iOS users, Hammer 88 supports seamless connectivity via the Apple iPad Camera Connection Kit (available separately), enabling you to compose with audio apps on your iPad and other iOS devices.